The Kings Square project is strategically located within the $5.2 billion Perth City Link precinct – one of Australia’s most significant CBD urban renewal developments. The site sits on top of Perth’s primary transport hub – the underground train station and at the junction of four commuter cycle paths. It is also in close proximity to the city’s entertainment and cultural precincts including the newly completed Perth Arena and Northbridge’s William Street and Perth Cultural Centre. Kings Square is a master planned precinct that will create an extension of King Street linking St Georges Terrace to Wellington Street. 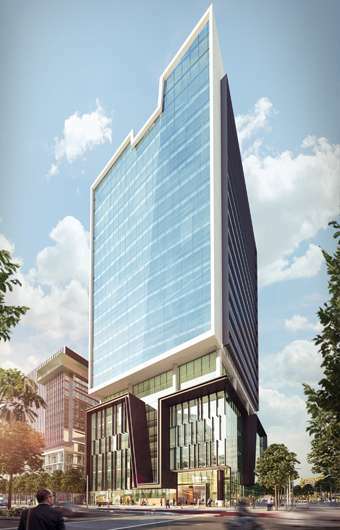 KS1 – on the corner of King and Wellington Streets, will offer 23,156sqm of A Grade commercial office space across 19 levels with 680sqm of ground floor retail.